To a query on whether Jayalalithaa was aware of her fingerprint being taken, Reddy said, "I can't answer that question because I was not by her bedside." There has been a twist in the mystery surrounding the health and cause of death of late Tamil Nadu Chief Minister J Jayalalithaa who was admitted to Apollo Hospitals with complaints of fever and dehydration on September 22, 2016. On Friday, a senior hospital official said that Jayalalithaa was brought to Apollo Hospital in a 'breathless state' and those she approved were beside her during her treatment there. "She (Jayalalithaa) was brought to the hospital in a breathless state, was given adequate treatment and recovered from it," Apollo Hospitals Vice-Chairperson Preetha Reddy told a private Tamil channel in New Delhi in reply to a question. "Unfortunately, you know the outcome at the end was not what everybody was looking for. And that is the hand of fate which I don't think anyone can do anything about it", she said. On speculations and the controversy on the circumstances leading to her death, Reddy said the hospital treated her with best clinicians from New Delhi as well as from abroad. "See, I think the hospital has done its best. We have the best clinicians from (New) Delhi, from AIIMS, from abroad within this system", she said. "There is an enquiry and I think that is the best thing that has been done. Let them go through the data.... I think all the mysteries will then be solved", she said. Following Jayalalithaa’s death, one man inquiry commission, headed by retired Justice A Arumughasamy was appointed by the Tamil Nadu government to probe the circumstances leading to her death which has already commenced the inquiry. 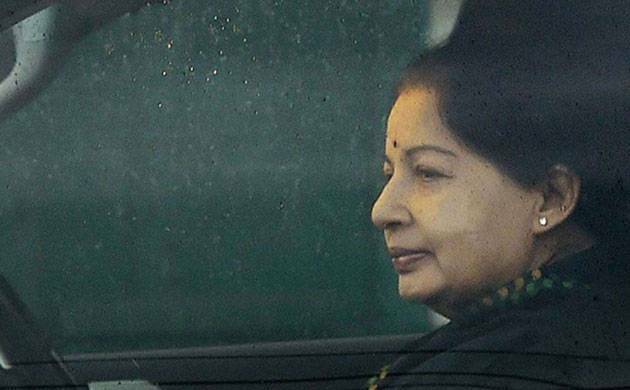 Reddy said people who were required and approved by her (Jayalalithaa) were by her bedside during the treatment. "So were all the doctors from all over the world, qualified nurses, technicians and physiotherapists from Singapore (who could be made available)." It has been alleged that Jayalalithaa's fingerprint was affixed on the papers authorising the candidature of AIADMK candidates for the then by polls. On November 4, 2016, hospital Chairman PC Reddy had said that Jayalalithaa has completely recovered and was contemplating on when to go home. On December 4, 2016, AIIMS expert team had confirmed that Jayalalithaa has recovered completely. On the same day, Jayalalithaa suffered a massive cardiac arrest and was put on extracorporeal membrane heart assist device. She died on December 5, 2016, at 11:30 PM.